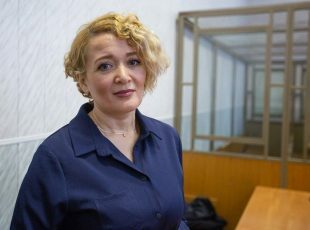 On 9 April 2019, police in Krasnodar raided the home of Yana Antonova. Yana, a children’s surgeon and mother, was detained and charged under Article 284.1 of the Russian Criminal Code, making her the third person in Russia to face prosecution under so-called ‘undesirable organisation’ legislation. She faces up to six years in prison. 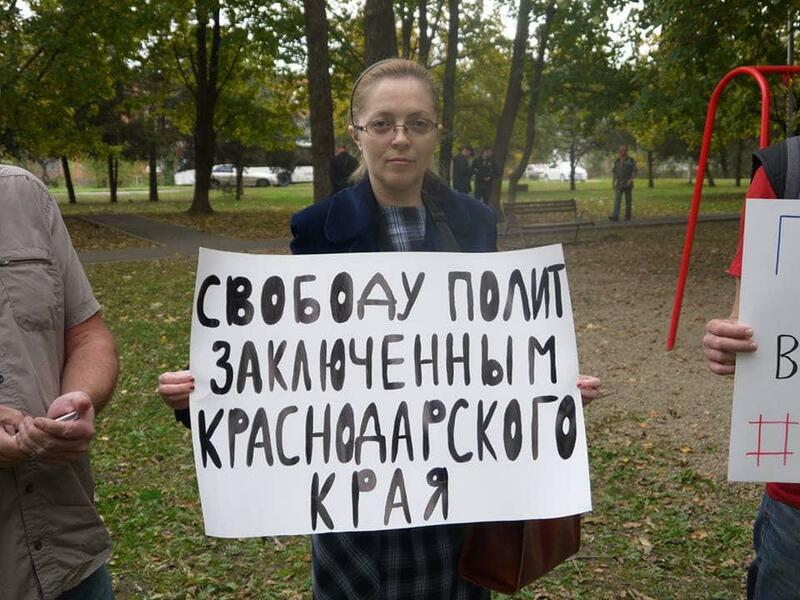 Yana Antonova picketing for the release of political prisoners in the Krasnodar region. Source: Facebook. Yana has become the latest victim in the Kremlin’s recent wave of political oppression. Much like Nastya Shevchenko and Maksim Vernikov, who are being prosecuted under the same Article, Yana was a civil activist and member of the now formally disbanded Open Russia Movement. Yana’s case is one of the 80 that have been launched by the Kremlin against former members of the Open Russia Movement in recent months. For many activists, it seems that political persecution is becoming an inevitability. When men in masks turned up at Yana’s home at 6am that morning, she and her 11-year-old son, Edward, must have been terrified. Indeed, in an interview with MBK Media Edward was initially unsure whether the intruders were policemen or robbers. And considering the raiders’ treatment of his mother and their home, it easier to understand his confusion. Not only did the police officers prohibit Yana from calling her lawyer, they also confiscated her computer as well as both her and Edward’s mobile phones. Initially, journalists were only able to confirm the details of the raid thanks to Edward, as his mother – at that point located in police custody – had no ability to communicate with the outside world. Later it became clear that the raid at Yana’s home was part of an orchestrated attack against civil activists in Krasnodar, the main target of which was Yana. Police carried out additional searches at the homes of Leonid Zaprudin and Pavel Surganeyev. That prosecutors have charged Yana specifically under Article 284.1 means that her arrest cannot be seen as an isolated incident. Yana is now the third person in Russia to be charged under this Article. And there is an uncomfortable correlation between all three ‘undesirable organisation’ criminal cases: the defendants are all former members of the now disbanded Open Russia Movement. Doing a post on Facebook about the shortage of schools in Krasnodar, again, showing the Open Russia Movement logo. It remains unclear what exactly it is in this harmless logo that evokes such fear amongst those in government structures in Russia. 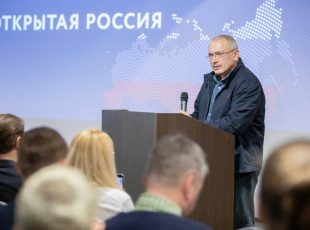 What’s more, the Open Russia Movement was never outlawed in Russia before it liquidated on 30 March, 2019. In fact, authorities had agreed to safeguard the Movement’s work from prosecution under ‘undesirable organisation’ legislation. 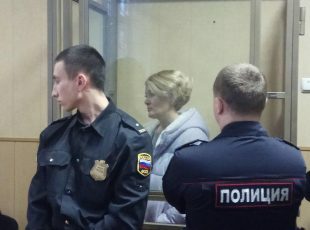 Investigators have based their decision to prosecute Yana not on genuine violations of the law, but rather on her affiliation with a group that had promoted civil society and rule of law in Russia – something that, in the Kremlin’s eyes, constitutes a “threat to national security”. Yana Anatova’s story already demonstrates the increasing threats facing civil activists in Russia. Fear of persecution has led Yury Sidorov, a coordinator at the new Open Russia civic organisation, to leave Russia. Increasing political repression in Russia is most probably a reflection of increased concern and anxiety among those in Kremlin. Waning popularity for President Putin coupled with bleak economic forecasts may merely be the calm before the storm, from which only further oppression and restriction of liberty can provide shelter for a crumbling Kremlin.